So the decision is made. Now the financial reality has to be faced. Planning to sail 20000 miles needs a boat to be equipped much differently than a regular costal cruiser. Now I had dreamed for 30 years of sailing off into the sunset, which is about the time I have been coastal sailing. Although I had never seriously tried to equip Beautiful Swimmer for an ocean passage I had bought her on her pedigree of being a proven fast blue water cruiser. So not without some knowledge of what was needed I set to compiling a list of equipment that I felt we needed to make our voyage successful. You can spend a million dollars and 20 years equiping a boat to cross an ocean. Not having the money or the time we have listened to advice, read, emailed and joined forums. We made the financial commitment, bought the stuff, so in a couple of months when we have some spare cash again we will start to refit.So we have 6 projects for the spring. 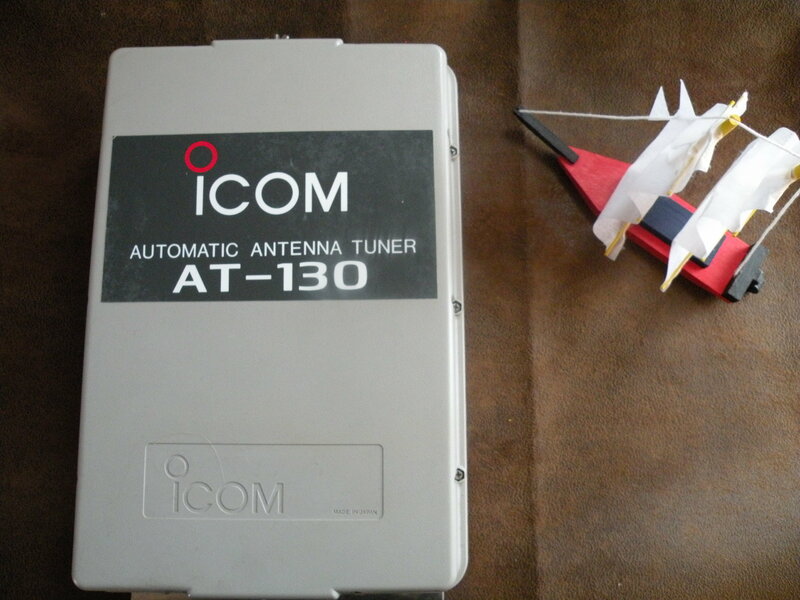 A new to us Icom Automatic Antenna tunner. 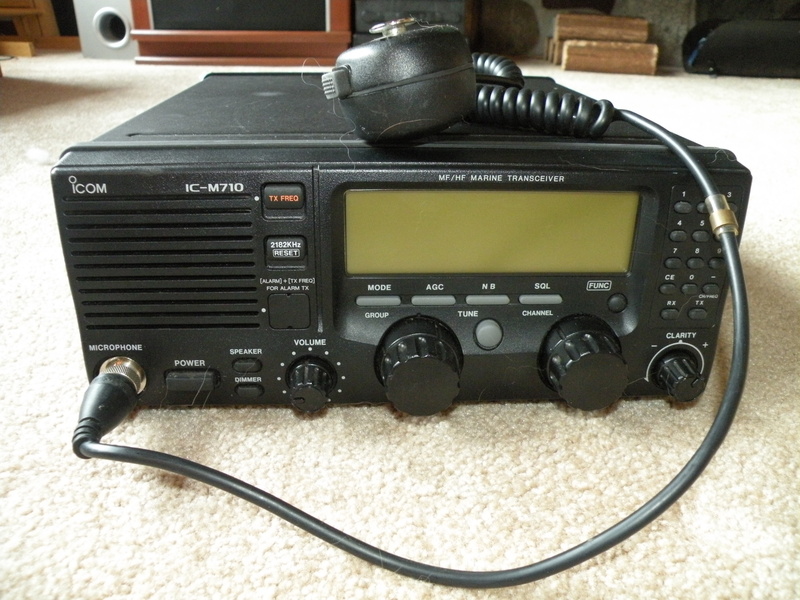 Important piece of Kit that allows us to use the single side band radio in a much simpler way. This attaches to the 23ft aerial. Modern Boats need to generate electrical power to function. Radar, gps, lights, refrigeration, water maker, radios all demand power. 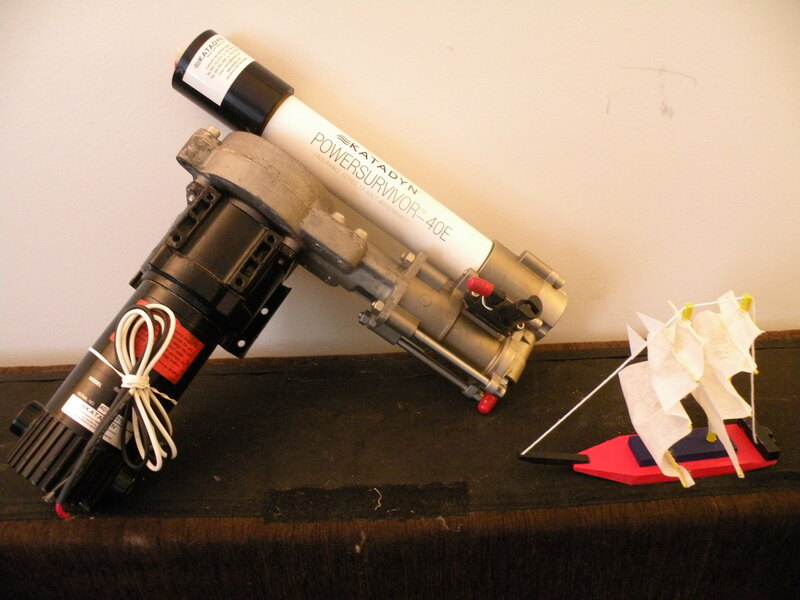 Beautiful Swimmer has acquired a wind generator that although used is still capable of producing significant amperage. How much we will see when we hook her up this spring. This will not be a simple project as we will need to build and erect a very strong pole on the stern of the boat. Read about our post installation of wind generator here. 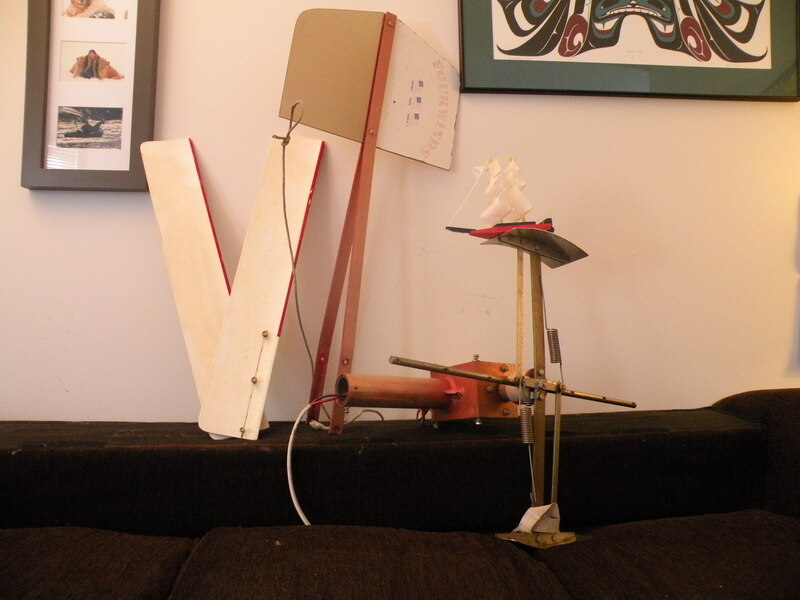 This design will produce 6 litres of water an hour and use 4 amps. Some would see this as a luxury but a small boat can be too heavily ladened trying to carry enough water to make passages. Also it allows a freedom of movement and is a hugh time savor, to say nothing of packing 100gallons of water to an anchorage in the tropics is not that appealing. These Brand New solar panels are 100 watts each. This will be enough to run the fridge and water maker as well as keep the battery banks topped up. Another Piece of Kit that I was not going to bother about. The ability to gather weather information, communicate with other vessels and if we spend another $1000 use email while at sea convinced me to go for a new to us model. 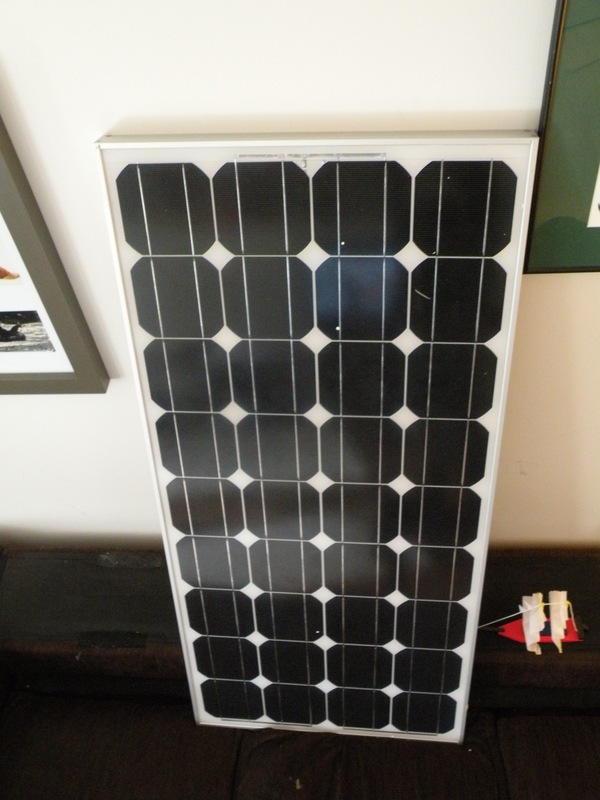 my father-in-law has a 49′ hunter and he put solar panels on last summer–great idea! I look foward to following your travel to the south pacific. A hunter 49! Had a google and they lok like beautiful boats. Your farther in law could use Beautiful Swimmer as a tender lol. hope to mount them in a couple of weeks. Next week I am going to start with the Capehorn Self Steering gear. Our 35ft has a narrow stern and all the gear we “have to have” is cluttering it up.